Object: Rabbit shed in Moscow region, area of 50m2. 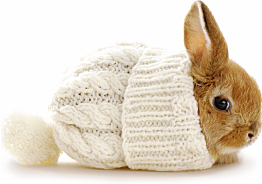 Goal: Efficient heating for rabbit shed for moderate price. Solution: Independent gasification. Air heating on base of gas convectors. Realization: electric power supply for the object didn’t consider any «spare» electricity. That is why there was settled on the variant with independent gas supply: there were installed three 500 liter gas tanks, gas pipelines, there were mounted air heating convectors. The system was tested for the pressure and activated. Conclusion: therefore, there was realized heating for rabbit shed without electricity. Efficiency – 92%. Gas flow rate is 3 times less than in any water heating system. Durability – details in gas convectors are electrical (lifetime is up to 10 years). Agricultural object has been still operating. Objects realized by GC «Terrikom»: septics. Objects realized by GC «Terrikom»: electric power for mini-forge.